Introducing, the ASICS London 10k. Virgin Sport and ASICS are teaming up and returning to central London this summer with a brand-new look for the ultimate street party. Everything you loved about the British 10k – live bands and DJ’s motivating you at every kilometre, cheering fans and fan hubs are back, with a few added surprises. Virgin Sport are taking steps to minimise waste and improve sustainability this year. 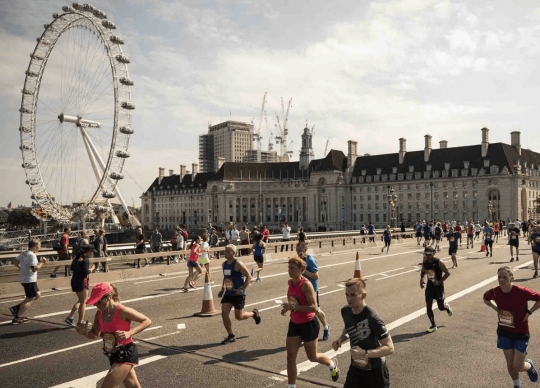 Instead of posting all race packs, they are encouraging runners to pick up from the North Terrace, Trafalgar Square on 20th July 2019. We do understand Saturday pickup won’t be possible for everyone, so we can post a race pack for a fee if need be. The 2019 route hasn’t been released yet, but the 2018 one is below.